The two big names in the music industry will collaborate in one concert at the Resorts World Manila. 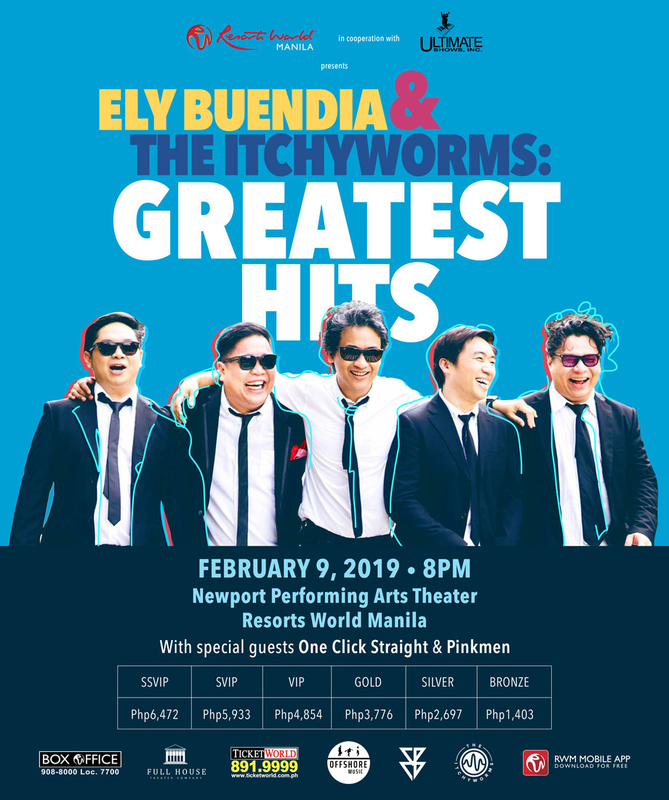 Ely Buendia and The Itchyworms will perform in one venue after a successful colab for the two songs - Pariwara and Lutang. Fans are excited to see the group, bringing back the atmosphere into 80s as Ely Buendia rose to fame from the Filipino rock band Eraserheads. Itchyworms - Jugs Jugueta, Jazz Nicolas, Kelvin Yu and Chino Singson was influenced a bit of Eraserheads kind of music. Dubbed as the Greatest Hits, are set to perform at the Newport Performing Arts Theater at the Resort World Manila on February 9. Tickets are available at the Ticketworld.